Blues Image was a critically acclaimed late 1960s rock band. Their most successful song was "Ride Captain Ride", which went all the way to #4 on the Billboard Charts. Blues Image was a well respected band among their peers. In an interview conducted by British magazine Melody Maker, Jimi Hendrix said that Blues Image was one of the best up and coming bands around. Blues Image was formed in Tampa, Florida in 1966 by singer-guitarist Mike Pinera, singer-drummer Manuel "Manny" Bertematti, singer-percussionist Joe Lala and bassist Malcolm Jones. Blues Image was formed in Tampa, Florida in 1966 by singer-guitarist Mike Pinera, singer-drummer Manuel "Manny" Bertematti, singer-percussionist Joe Lala and bassist Malcolm Jones. They were later joined by keyboardist Frank "Skip" Konte. Blues Image moved to Miami in 1968, where they were instrumental in helping promoters form the most innovative music venue in South Florida, "The Image". Blues Image became the house band at the club, which featured bands like the Grateful Dead, Cream and Blood, Sweat and Tears. The band moved to Los Angeles and signed with Atco Records, releasing their self-titled debut album in February 1969. 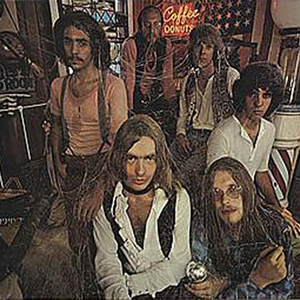 Their second album, Open (April 1970), included the popular hit "Ride Captain Ride", which was co-composed by Pinera and Konte. Pinera left the band and was replaced by singer Dennis Correll and guitarist Kent Henry. The band later broke up but did release a third album, Red White & Blues Image, in May 1970, mainly comprised of outtakes. The various members of Blues Image went on to become parts of other rock bands. Pinera & Bertematti later played with Iron Butterfly and Cactus. Pinera also played with Ramatam and Alice Cooper. Konte joined Three Dog Night, and Lala played with Crosby, Stills, Nash & Young. Lala's percussion work figures prominently on the Stephen Stills / Chris Hillman led group, Manassas. Kent Henry played lead guitar with Steppenwolf prior to their breakup in the early 1970's. Michael Pinera has released several solo albums, most recently In the Garden of Eden. He is currently working on a project with keyboardist John Russ, bassist Mike Anglin, and drummer Robert Hill.